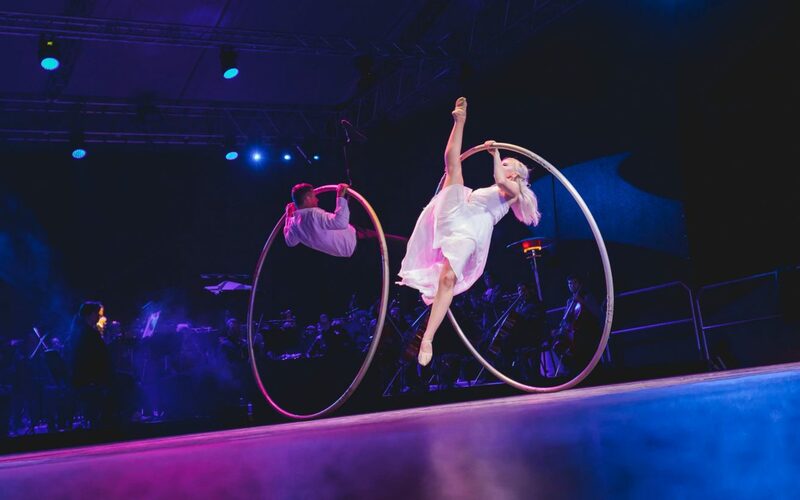 In the end of August our performers Michaela Patáková and Matúš Ritomský became a part of the performance Panta Rhei – Když Klučanka přihlíží. 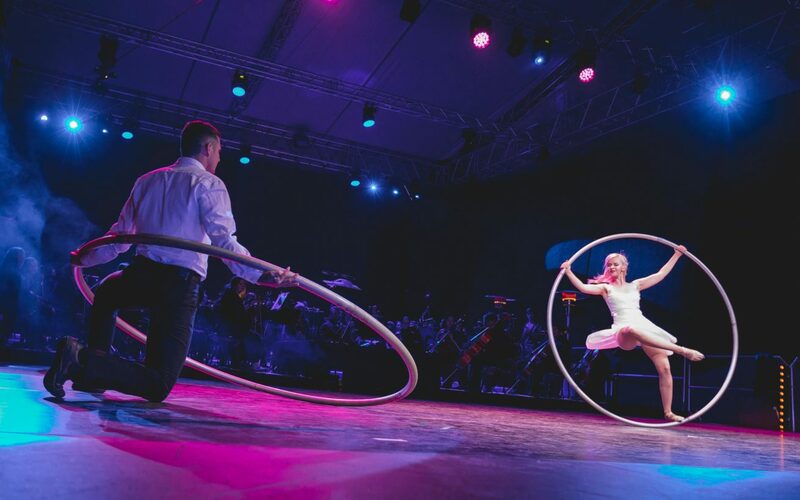 The charitable performance took place near the town of Police nad Metují with a great interest of the audience, who came in thousands. 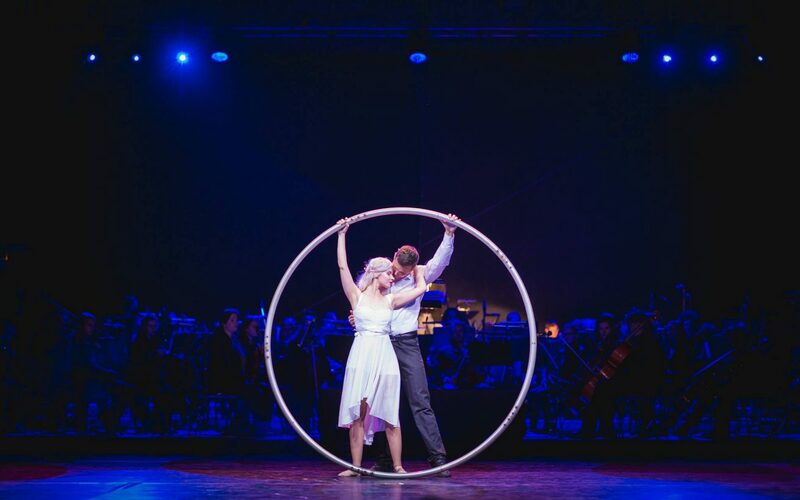 The whole evening was accompanied by the Police Symphony Orchestra with their singers and dancers with the participation of the soloists of the Ballet of the National Theatre in Prague together with our acrobats Miška and Matúš. 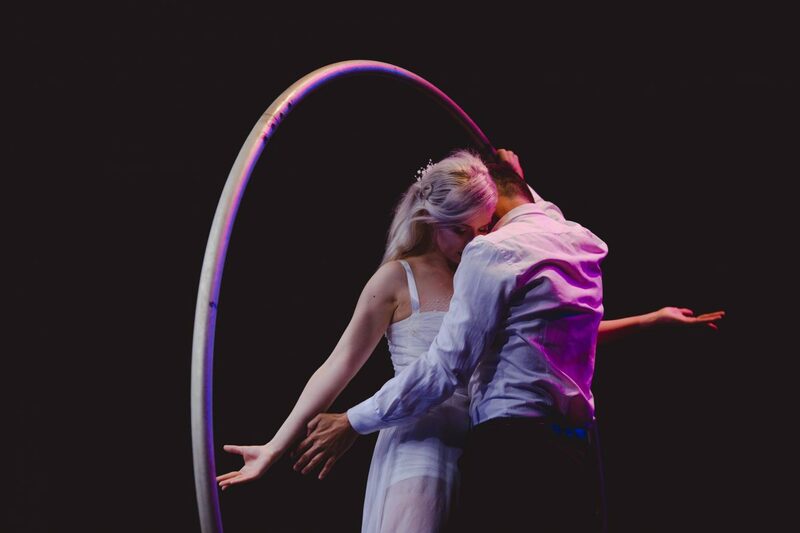 They presented their romantic acrobatic-dancing duet using the Cyr Wheel, which featured wedding rings throughout the story. Jan Sklenář accompanied them with vocals, while Tadeáš Správka played the piano. 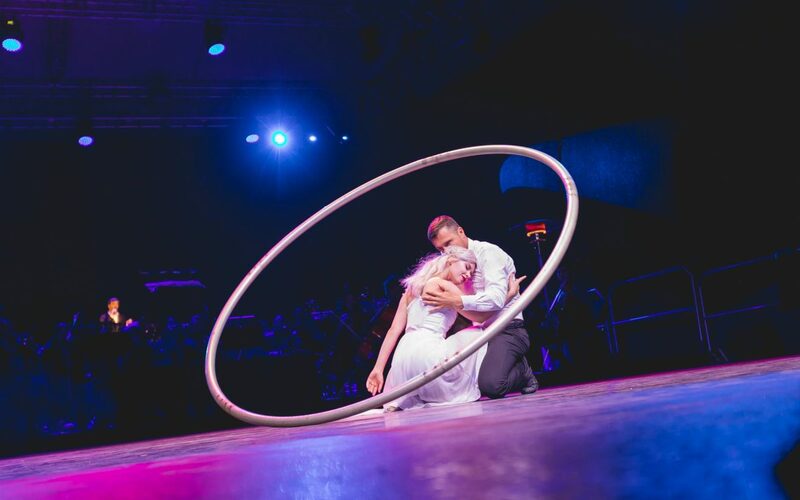 We particularly thank Petra Soukopová and David Ostružár for their cooperation on this beautiful performance.